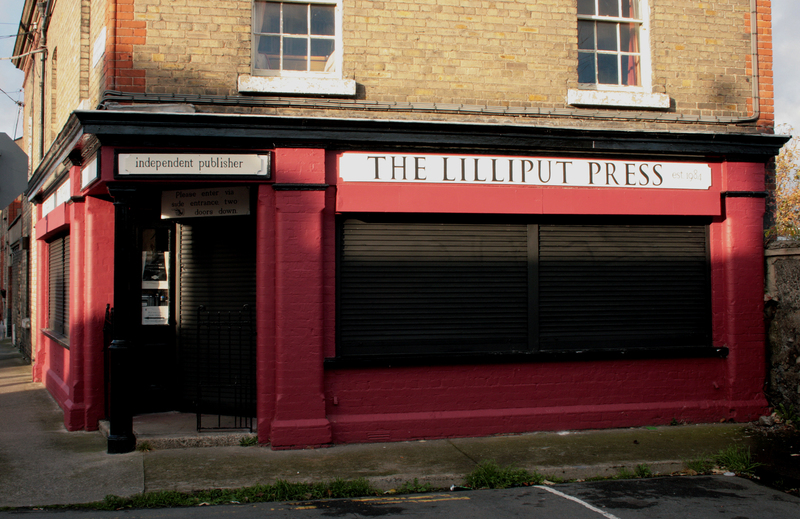 The Lilliput Press occupies a particularly nice site on Sitric Road: an end-of-terrace house that’s amplified by the step in the road. 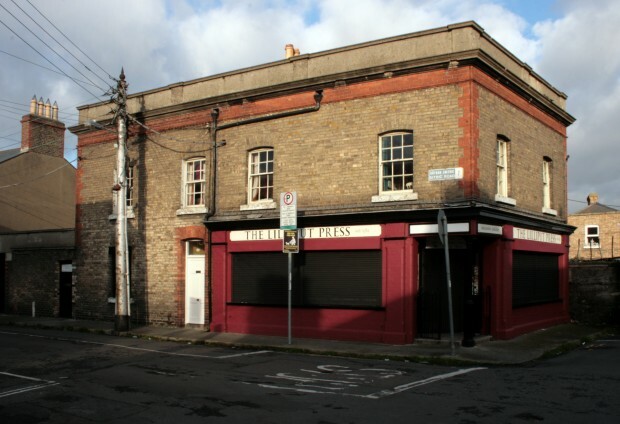 To the northwest, there’s the neat lines of the Dublin Artisan Dwelling Company terraces, and a few metres to the south, Arbour Hill marks a transition away from the calm domestic rhythm. 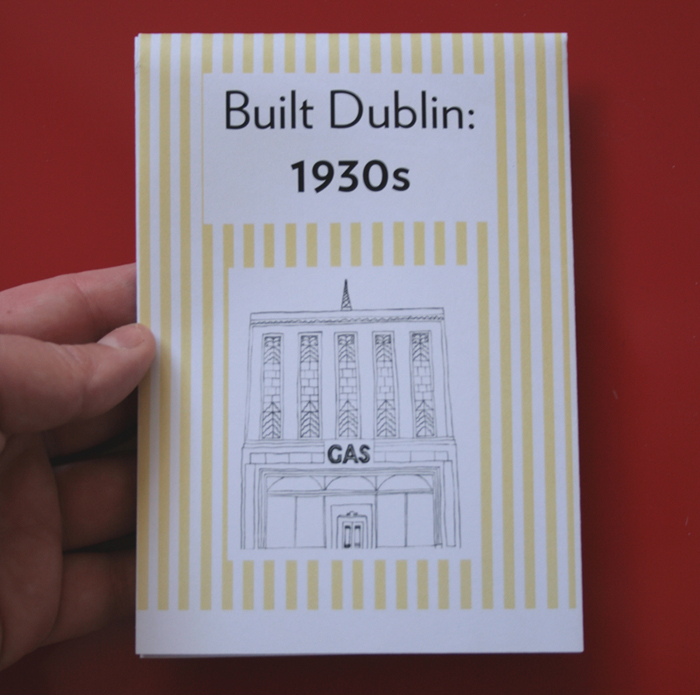 The publishing house is named for a townland in Westmeath, as was Jonathan Swift’s island. It’s hard to get the lilliputian association out of your head, though, especially when the building is busy directing you to a slightly undersized door nearby. There’s something charming about the scale, which is just unusual enough that you might look down towards the nearby houses to compare, but not small enough to be impractical. 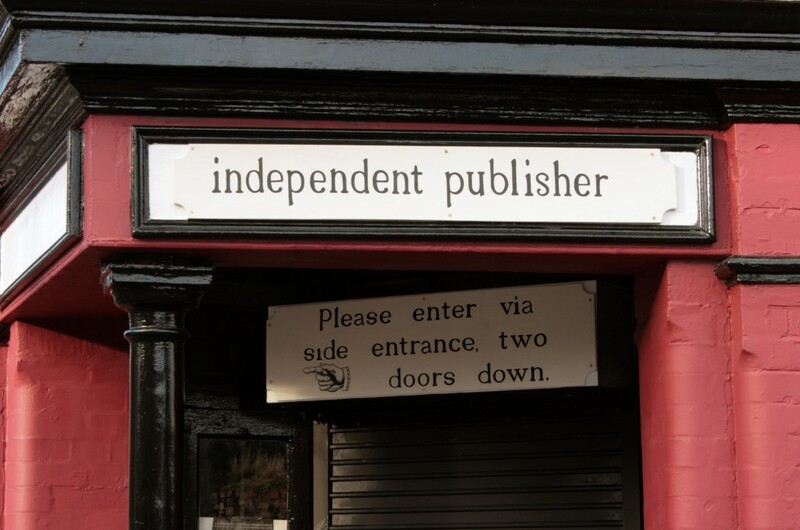 It’s set apart even further by the very polite sign. 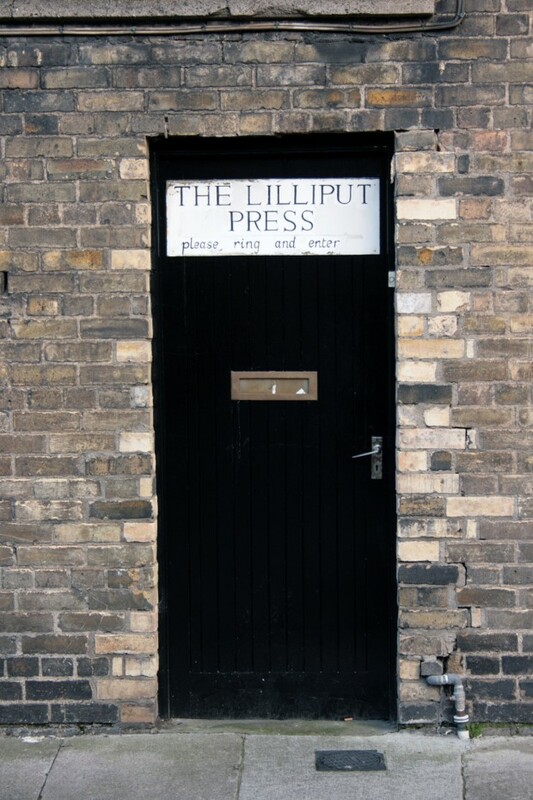 Though everything about the door is totally unassuming – plain colour, ordinary handle and letterbox, black writing on a white background – the combination of the name, the size, and the sense of activity happening within is enough for at least a brief flight of fancy as you walk by. The signwriting is gorgeous, but it’s a slight pity that there’s a board fixed in the middle of the shopfront signboard – one of those niggling things it’s difficult to stop seeing once you notice it, even if you feel very guilty for noticing it. Still, there’s another very polite sign and a helpful hand underneath, and it’s difficult not to notice and enjoy those too.